You’ve probably noticed by now. Things look a little…different. Okay, so maybe things look a lot different. Where did STEM Premier go? No worries, we haven’t gone anywhere. We’ve just changed our name to Tallo! As we’ve grown to help hundreds of thousands of young people showcase their talents, we’ve realized that those talents extend far beyond the STEM fields. So we thought a change was in order. We’re here for everybody, no matter what their passions are. Tallo represents who we are and where we’re going. The world needs all sorts of people, whether they excel in the lab, on the stage, or under the engine compartment. Everyone is welcome on Tallo! Our name might be different, but our mission is the same: to give young people a way to showcase themselves to the educational and professional organizations who are looking for them. Finding the right path can be overwhelming. We’re here to make it easier. Already have an account with us? Fantastic. Your login information is the same, and your profile is just how you left it. So you can pick up right where you left off. New around here? Pleased to make your acquaintance. Jump right in and start showing yourself off to the world! Whether you’re a student, a school, or an organization, start creating your Tallo profile by clicking HERE. Then go ahead and strap in, suit up, hunker down, or whatever it is that gets you in the zone. Maybe it’s listening to some dubstep or country or rap. Maybe it’s interpretive dance. We don’t judge. In other words, you just do you. Tallo will help you figure out the rest. Posted in UncategorizedTagged K-12, Recruitment, Talent Search, TalloLeave a Comment on Welcome to Tallo! Less than a year ago, we featured Tallo organizational user Tidelands Health. Based out of Georgetown, South Carolina, Tidelands decided to partner with us in order to place themselves on students’ radars. “[STEM Premier] will help us deepen our relationship within the region by introducing Tidelands Health to members of the community at a young age,” said Busy Kimball, Manager of Talent Acquisition, at the time. That’s just what they’re doing. 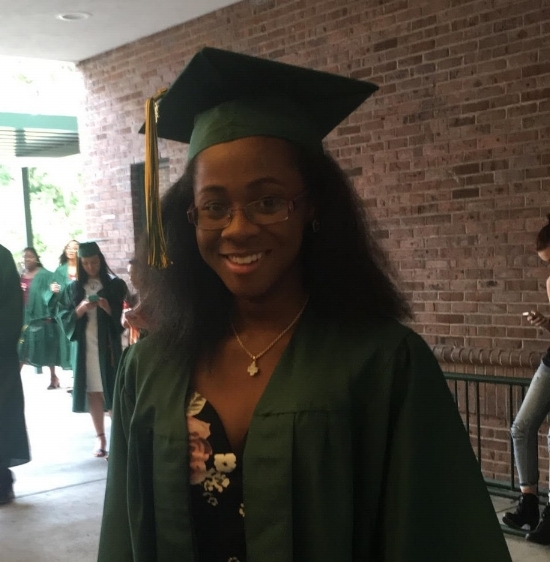 By utilizing our digital ecosystem to provide scholarship opportunities for students interested in healthcare, they’ve found exactly the kind of students they’ve been looking for; students like Randelle Thompson! The aspiring nurse graduated last May from Myrtle Beach High School and is currently attending Horry Georgetown Technical College. She will soon be working for Tidelands Health. But first, she wants to take advantage of the opportunities college has to offer her. Read more about Randelle below in her own words! Something you wouldn’t know about me is…I have an accent! For fun, I like to….read or listen to music. If I could meet anyone in the world, past or present, I would want to meet…the head nurse of a hospital in Fort Lauderdale, Florida because that’s where I’d love to live and work someday. The best teacher I’ve ever had was/is….my probability and statistics teacher during my senior year of high school. She was was always supportive of me and my aspirations. The last app I downloaded on my phone was…the McGraw-Hill Connect app. In ten years, I see myself….managing a department of whichever hospital I happen to find myself for. The thing I like about STEM Premier most is…their ability to see potential in students. Congratulations Randelle on your scholarship! We know you’ll be an awesome nurse (and hospital manager) one day! We’re about connecting students, schools, and businesses in powerful ways that enhance the success of everyone involved. It’s what we do. We also like to highlight these stories so that others can see the power of these connections, and catch a glimpse of what Tallo can do for them. Cody’s Tallo story began shortly after completing the ACT Test. He received an email from ACT inviting him to create a free Tallo account so that he could share his test scores – along with his other accomplishments – with hundreds of businesses, schools, and organizations who may be looking for someone just like him. Cummins Turbo Technologies, a Tallo client, was interested in identifying and recruiting talented students for their nation-wide apprenticeship program. With Tallo, Cummins was able to identify the right fit for their program and message candidates whose interests and skills matched up with the opportunity. Cody was among them. 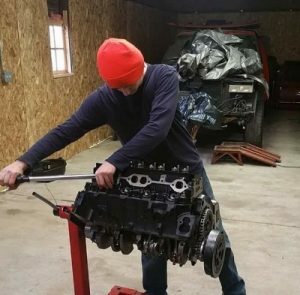 Although Cody had heard of Cummins, he had no idea they had a local presence or about this program, which would provide participants with full-time employment, benefits, and financial assistance towards a college degree. Like most students his age, Cody already had plans to attend college immediately after graduating from high school. However, after he received a direct message from Cummins inquiring whether he’d be interested in their program, he immediately jumped at the opportunity. In fact, he plans to stay at Cummins for the long haul, hoping to one day be in a management position with the organization. “I am truly grateful that Tallo made the opportunity I have possible,” he says. Something you wouldn’t know about me is…I really enjoy jigsaw puzzles. I live a fast-paced life and they give me an opportunity to relax. For fun I like to…work with my hands. I will work on anything, but my passion is cars. I am currently in the middle of doing a frame off restoration on my truck and building a motor for it. If I could meet anyone in the world it would be…Paul Walker. He was the inspiration for my interest in cars, and he was a great person all around. I was devastated that he was taken from us so soon. The best teacher I ever had was…my high school physics teacher Mr. Fess. He always had good advice and valuable opinions to offer, and would support anything I wanted to do. The last app I downloaded was…the Realtor.com app because I like to see what is available in my area and get ideas for the kind of place I am going to look for when I move. In ten years I see myself…working at Cummins, possibly in a management position. My greatest dream is to…own a lot of property with a small lake that I could enjoy with my family. The thing I like the most about Tallo is…it gives students the chance to get their name out there and find opportunities they would not know about otherwise.